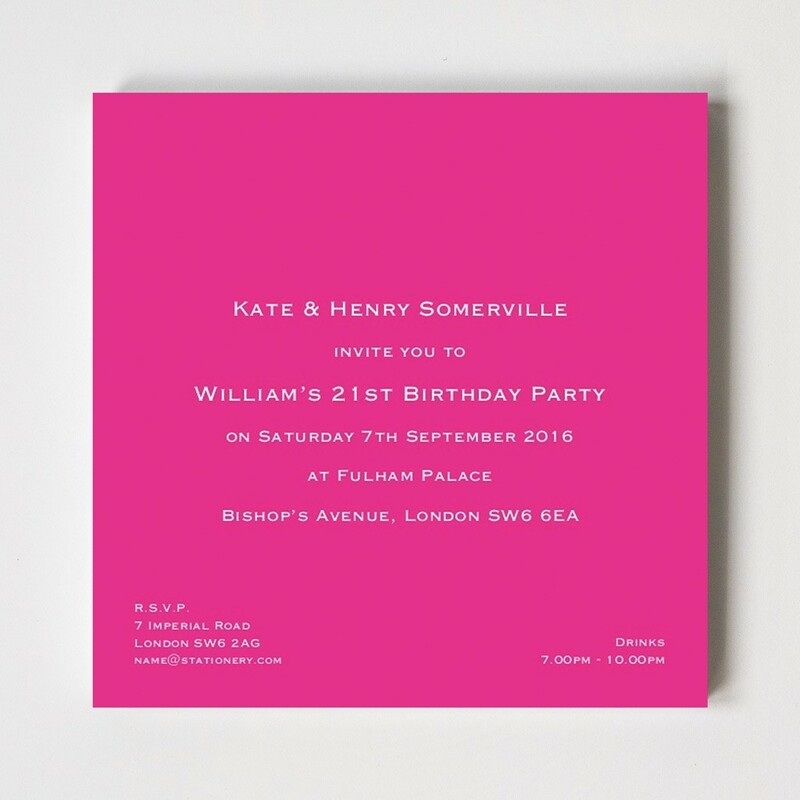 With a choice of 16 stunning ink colours, our vibrant Bloomsbury Square Invitations are sure to make for impressive reading. Our square design measures 150xx by 150mm and can be personalised with seven lines of your own text which is printed in white with one of 16 striking background tones. Printed on 400gsm paper stock, our Flirty Surprise Invites are supplied with matching envelopes.